I really enjoyed camp! I loved how open and welcoming everyone was and all the cool activities. The food was great and all the staff helped me a lot. 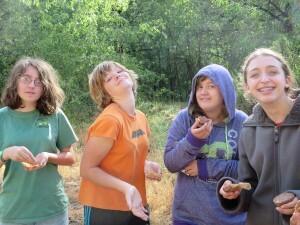 Find out how campers spend their days! The Parents page has dates, rates, details and forms so you can come to camp. Camp is fun, see for yourself!